Here is one of those Steven Levitt Freakonomics mysteries I've been pondering recently. As many people know, designer knockoff bags are sold by vendors on Manhattan's Canal Street. You can walk up and down the avenue and pop into shallow shops featuring hundreds of handbags for sale. But if you're seeking genuine fakes - leatheresque handbags that look like Prada and bear the Prada mark - you have to go a step further. You have to enter the back room. It's not difficult to get there. Walk in and ask "do you have Prada?" and you're shown straight back. In fact, in many cases, an employee will prod "are you looking for Gucci, Chanel?" and point to the back room. The back room often isn't immediately visible. It is protected by a closed door (often covered in merchandise like the rest of the walls) and it's staffed by an employee. But anyone would quickly notice the traffic streaming in and out. Any snoop with the remotest desire could discover these fakes with ease. This setup can't possibly deceive police or corporate monitors. Thus the Levitt question: why do these backrooms exist? Is there some sort of formal or informal agreement between police or the trademark owners and the vendors? Do the vendors think these rooms prevent detection? Do vendors imagine that these rooms reduce the likelihood of active enforcement? Or is something else going on? Naturally, I don't have the slightest idea. The whole process struck me as very odd - a complete charade. But in our somewhat rational world, I suspect that there are some hard, instrumental reasons for this phenomenon. Theories, of course, welcome. The police and the district attorney simply do not have the resources (and therefore the desire) to enter every "back room" to round up fakes, arrest the owner/employees, charge them with a crime, and process them through to conviction (even via guilty plea). First, the police - you have to remember that when an officer arrests someone, it can take upwards of 10 hours for the arresting officer to process the arrestee - writing affidavits, taking the arrestee's statement, etc. Cops are not especially keen on having to pull hours of frusterating overtime to process a handbagger from Chinatown, especially one who probably doesn't speak English. Other times, handbag arrests are used to pull in an owners who has done something else wrong (the cop gets a call to the store, finds nothing arrest-worthy, but charges for the handbags), and/or to match quota numbers (every once in a while, they go on "raids" down there, but it doesn't really do anything). Second, the prosecutors - I worked at the Manhattan DA's office between my 1L and 2L year (which is about 400 yards away from Canal Street). In my time there, I only saw one case about handbags - it involved a store owner who had the police called to his store for some other reason, and he was arrested for sale of counterfeit bags. They assigned a mid-level ADA to the case, who couldn't have been less happy to handle it. The evidence they had to store was GIANT plastic garbage bag full of counterfiets. It was a tough logistical case to handle, and the defendant probably plead out to DisCon, maybe got probation. Not much reward. Third - the system as a whole. What benefit does society really gain from prosecuting these folks? Even if we were to assume all of them could be arrested, charged, and convicted (which they can't be), who would benefit besides the handbag makers? Certainly not the tourists, who live for this stuff. Certainly not the street-car vendors who thrive off the tourist trade. And probably not even Prada or Gucci or whatever, because people who buy the knock-off bags probably wouldn't buy the real bags anyway (and who may benefit from the "free advertizing" they recieve from having lots of folks walk around with their products) although that is a complicated question of economics I am not qualified to answer. I should address the question of the backroom - I don't think there is much to it. It seems like a tacit agreement between the police and the vendors to keep the obviously fake stuff out of view, because if it were in plain sight, the police would essentially have no choice but to arrest when they see it (and they don't want to do that). I agree with the previous comment that no one gains from going after these vendors. 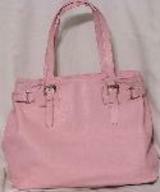 The fashion houses do not loose custumers to canal st. though it is important to note that this counterfeit bags are made in unregulated sweatshops in east asian countries. buying counterfeit bags is supporting child slavery without a doubt. It is most likely it was this reason that did finally spur the fashion houses to ban togeather an run anti-counterfeiting advertisements. though i am sure they mostly fall on deaf ears. I think that in many Chinatown stores, parts of the store are sublet, so the vendor of the bags may be a different vendor than the rest of the store. Helps pay the rent. I think of your bags as a unique decorate, but it is a best choice that you must match on beautiful T-shirt.Welcome to our website. You can find the angel belongs to you.